Minister for Finance Michael Noonan says "there's an absolute wall of money wanting to invest in Ireland"
FINANCE Minister Michael Noonan said he won't be renewing the capital gains tax (CGT) relief on properties that have been held for seven years in Budget 2015 because there was, he said, a "wall of money" in the commercial property sector at the moment. Mr Noonan introduced the measure in 2011 to attract international investors and give a boost to the State's then beleaguered commercial property sector. He extended it for a year at the last Budget in October. But he said there was now no longer any need for it. "That has been enormously successful," Mr Noonan said. "At the moment there's an absolute wall of money wanting to invest in Ireland, to the extent that I'm not going to renew that incentive at the end of 2014. It's no longer necessary." The CGT relief for the first seven years of ownership, for properties purchased between December 7, 2011, and December 31, 2013, was extended by one year to include properties bought up until the end of 2014. When a property is bought in this period and held for seven years, the gains that it has accrued will not be subject to CGT. Foreign investors have shown intense interest in Ireland in recent years, picking up what they see as bargains around the country. Overseas players include Blackstone Group and California-based Kennedy Wilson. Mr Noonan also said he believed the National Asset Management Agency (NAMA) would make a "significant profit", but added a note of caution, saying he couldn't predict the market in 2020. And the minister said that he saw a role for the State's bad bank beyond its mandate of selling off assets. 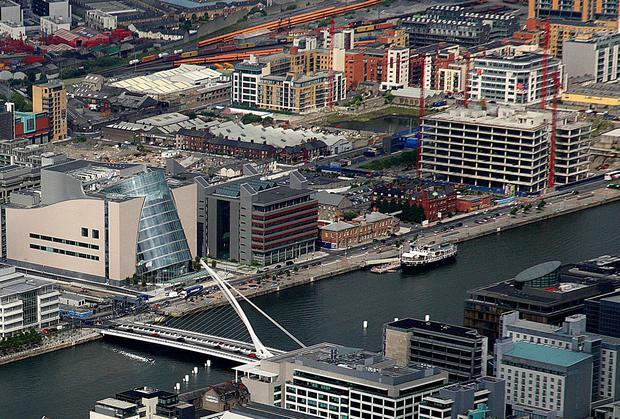 This would include using it as a development agency to help ensure areas like Dublin's Docklands, which needs infrastructure upgrades to water and waste water systems, can benefit from an upturn in the property sector. "The market should be sufficient to fill that (the area). But the services are not there. "There's a need for an adequate water supply and waste water disposal systems," Mr Noonan said during the 'Sunday Independent' Business Evening. "I would hope that NAMA, with all the cash it has on hand, would be able to fund that," said Mr Noonan. "I see roles for NAMA in that kind of development area, as well as just a bad bank for the disposal of assets." Speaking about the banking sector, Mr Noonan said that we were a year away from having two "very solid banks and some idea of what a third one might be". And he claimed the State's debt was "reasonably well under control". Bank of Ireland is now valued at €1bn more than taxpayers invested in it in value terms – while AIB has been independently valued at about €11bn. Mr Noonan also dismissed claims of another housing boom, saying they were greatly exaggerated. And he said he wanted prices to rise further.